Hey y’all! 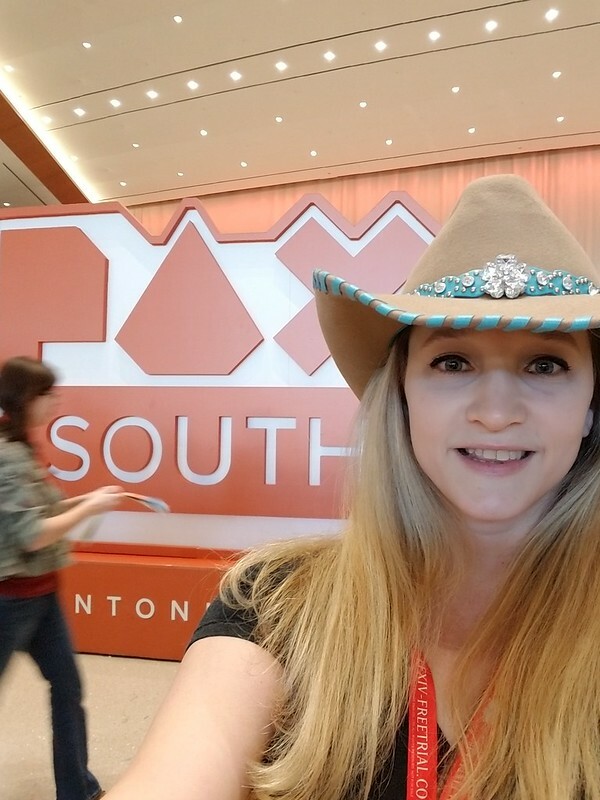 Not too long ago, I took a trip down to San Antonio, Texas to attend PAX South and cohost the Nintendo Feud Game Show at the convention. This was the second year that we hosted the game show panel at PAX South, and they gave us a prime time slot and even streamed the panel on Twitch! Check out the cosplayers from the Nintendo Feud Game Show! They did a great job. I enjoy being the host of the cosplay parade during the game show, because I get to meet these creative gamers and pick their brains about how they make their costumes. You’d be surprised how many cosplay outfits are made out of clothes that people already had lying around the house! I love PAX South! I have an excuse to wear my cowgirl hat! It is also so much less stressful than some of the other conventions that I’ve been to in recent years. Unfortunately, since it’s a smaller market, not a lot of game companies make the trip. Most of the stuff that you find on the show floor at PAX South can be found at other cons, with all of the regular gamer-friendly vendors that you’d expect to see. Naturally, that means I didn’t spend a lot of time on the show floor. I don’t like to travel to far off lands and then wait two hours on line to play a 5 minute game demo. So instead, I ventured up to the Classic Console Freeplay area to take on some challenges and jam out to some old school Guitar Hero. Miz Sylver was the surprise sharp-shooter at the Duck Hunt challenge! It’s really amazing how hard some of the old retro games are, and how spoiled today’s gamers are with our modern technology. We spent a good hour trying to beat a challenge in Marble Madness, which was probably named that because it’s MADDENING to watch your marble fall off the impossible stages repeatedly!! I think it’s important to take time to do some sight-seeing when I’m out of town for a convention. Especially if it’s a con like this where I don’t need to spend hours on the show floor, it’s a lot of fun to go exploring. Last year I did a lot of touring on the San Antonio Riverwalk, which I highly HIGHLY recommend because it’s beautiful and a lot of fun. 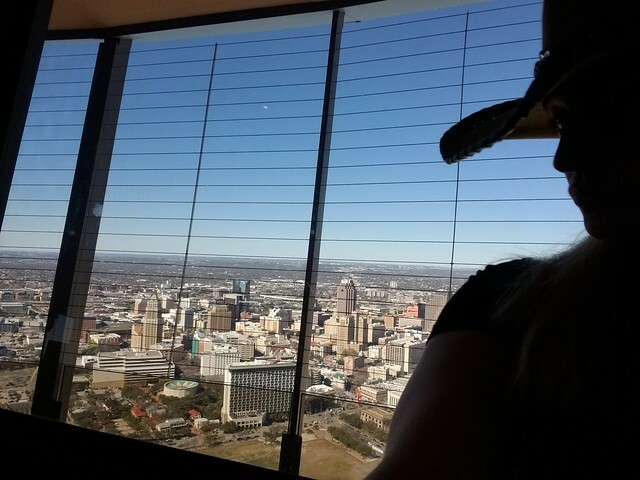 This year I made it to the top of the Observation Deck at the Tower of the Americas… but sadly, since there is so many new hotels being built in the area, the bird’s eye view of the Alamo is completely obscured. Boo. One thing I totally DID get to see was the Blood Moon lunar eclipse! We had a nice clear night and I set up my camera’s light settings so I could capture the shadow effect as it happened. It was very cool. I LOVE SCIENCE!